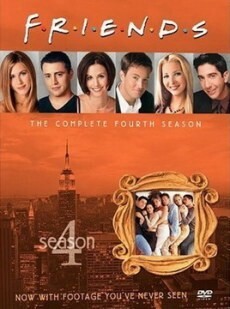 Episode 4x21 (The One with the Invitation) is approx. half a minute longer. The length difference results from two extended scenes at the beginning of the episode - there are numerous further alterations though. 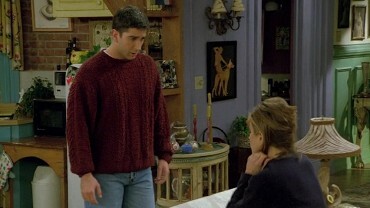 There is a little flashback of earlier flirts between Ross and Rachel and the Extended Version contains slightly alternate takes or angles. Rather unspectacular which makes it even more curious. 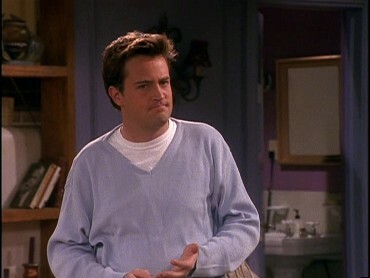 Additional dialog when Chandler complains about their pointless lives. 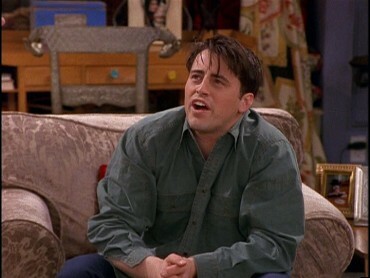 Joey: "What are we doing?" 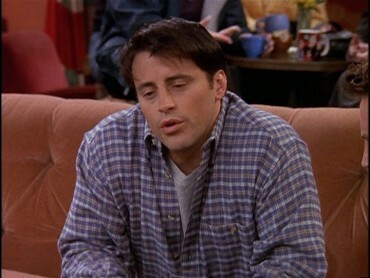 Joey: "I meant for lunch." The scene at the apartment starts earlier. 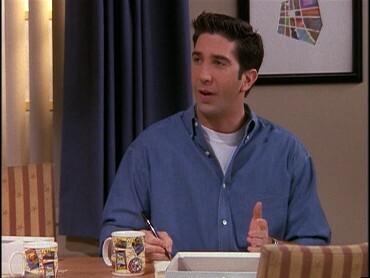 Ross: "Wow! That was fast. It usually takes me two hours to get Ben to go down for his nap." Emily: "He's such a little sweetheart. Do you know what he said?" 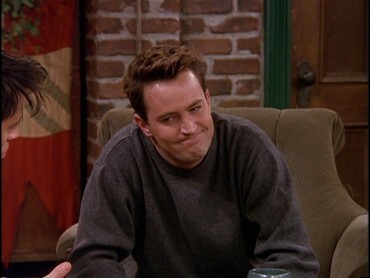 Ross: "Oh, yeah, that's because he has lots of mommies. Yeah, in fact, it's kind of become his word for woman." 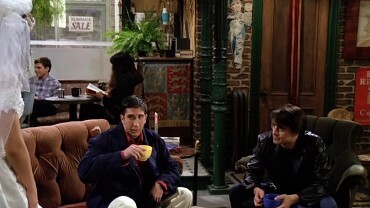 The TV Version contains a further shot of Ross and Rachel at the Café, the angle is different. 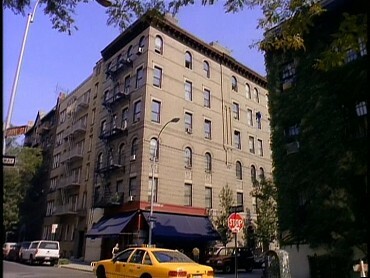 In the Extended Version, the subsequent scene at the apartment starts earlier resp. with an additional medium long shot. 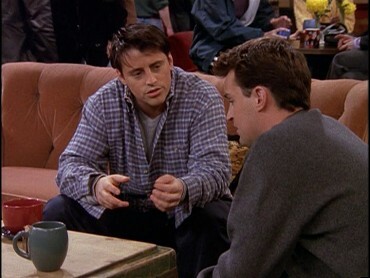 The TV Version sticks longer to the medium long shot when Joey tells Ross he did not stand a chance with Rachel. 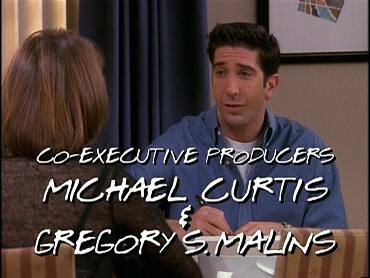 The Extended Version cuts to Ross instead. Every now and then, a single shot of the subsequent flashback is insignificantly longer/shorter as well - unlike before, there is no additional shot though. But here are further exclusive shots: While the TV Version contains a close-up of Rachel and Ross, the Extended Version contains a medium long instead. 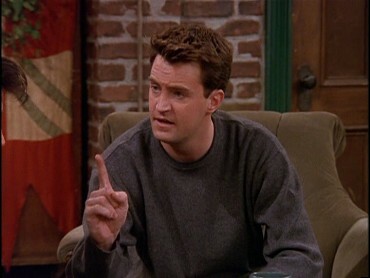 Ditto when Ross stands up. Additional black screen in the TV Version due to a commercial break. As compensation, the Extended Version contains an additional exterior shot. 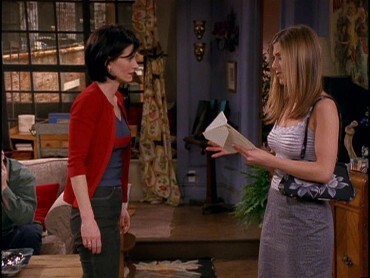 When Monica asks Rachel if she was going to come to the wedding, the TV Version cuts to a rather close angle while the Extended Version sticks with the previous one. 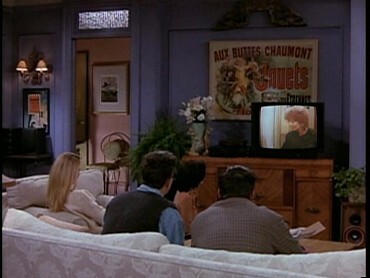 The TV Version contains a close-up of Monica turning back around. 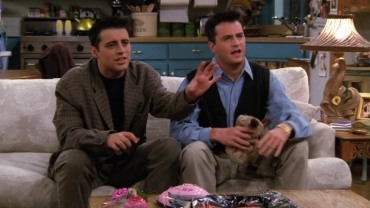 In the Extended Version, Joey interrupts instead: "Dude, you're not even invited!" When gifts are being unwrapped, the first shot differs. 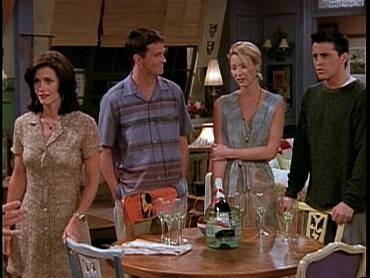 While the subsequent shot starts earlier in the TV Version (no screenshots), the Extended Version contains an additional shot of the friends. 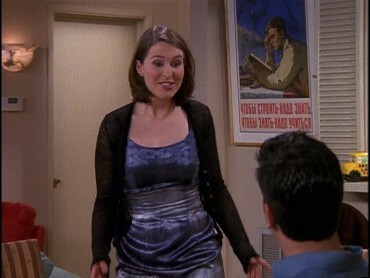 The TV Version contains an additional close-up during Rachel's date & the subsequent shot of Rachel starts much earlier. As compensation, the Extended Version contains a shot from another angle. 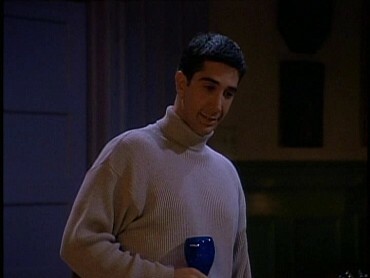 The TV Version here contains an additional shot of Ross. In the Extended Version, the subsequent shot of Rachel starts earlier instead (no screenshots). Alternate take of them kissing/getting undressed. The take of them lying down is alternate as well. The last shot of the scene slightly differs as well. Subsequent to a few quite redundant alterations at the end/beginning of a shot, there is a rather noticeable alteration here: In the Extended Version, the camera is closer to Rachel when she reads the letter. Also, the subsequent scene of her watching the old high school video starts with alternate footage. 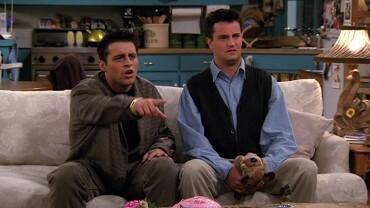 Alternate reaction shot of Joey and Chandler. In the Extended Version, the subsequent shot starts a little earlier (no screenshots). The TV Version on the other hand contains an additional scene from the video. 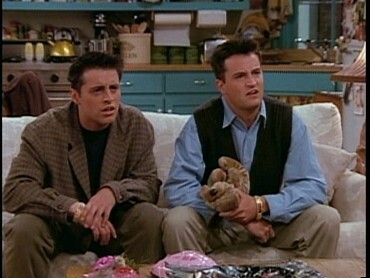 While the Extended Version sticks to Ross pacing (no screenshots), the TV Version cuts to Joey and Chandler instead. Alternate moment of the kiss (the shot of Phoebe is identically equal though).